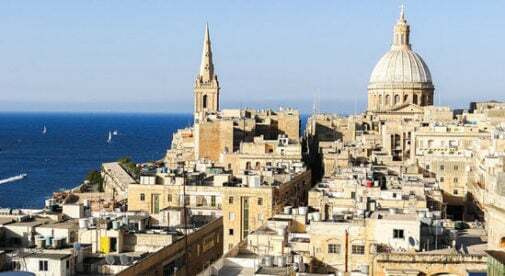 Malta is a safe place to put your real estate dollar’s, reports InternationalLiving.com’s property expert, Ronan McMahon. Though economic crisis has plagued much of Europe over the last six years, this stable and peaceful haven in the Mediterranean has escaped untouched. While “junk” sprang up across the Mediterranean during Europe’s boom time, it was a different story in Malta. This island nation is a major offshore center for the pharmaceutical and financial-services sectors, and for online businesses, too. “It’s a refuge where I expect real estate values to rise while you bank steady income along the way. Plus, you can get residence on this little island nation through a real estate purchase,” says McMahon. For business or residence, Malta is affordable and low-maintenance. More and more businesses and people are catching on. They’re coming not just from Europe…but also from North America, Asia, and Africa. Each new arrival needs to be housed somewhere and, McMahon says, therein lies the opportunity. “There are constraints on the supply side. It’s a 122-square-mile island, and development is tightly restricted. With just under 500,000 people, Malta is one of the world’s smallest and most densely-populated nations. Maltese and English are the official languages. But English is the language of business. Malta is a pleasure for visitors with its near-perfect climate, rich history, great food, and direct flights to 22 countries. The full report on the property market in Malta, including where to find the best opportunities for investment, which appeared in the May edition of International Living’s magazine, can be read here: Why Mediterranean Malta Could Be the Safest Bet in Real Estate Today.